In 1982, Marvin Gaye found himself in the small Belgian city of Ostend, trying to escape his drug, money and family problems. The soul star needed to create his music in complete isolation. He was surrounded by synthesisers and drum machines, pushing buttons, setting levels and cueing rhythms. He pushed “play” on a song that was made entirely using a drum machine. That song was “Sexual Healing”. The song became a huge global hit, his biggest in years, thanks to a drum machine called the Roland TR-808 Rhythm Composer. After years of being seen as a faded star, Gaye suddenly found himself a key player in a new musical movement. In an era in which renting studios cost thousands of pounds, Ikutaro Kakehashi wanted to create a tool that would make music-making affordable. Born in Osaka in 1930, he was orphaned at the age of two, and grew up in a Japan between the two world wars. He moved in with his grandparents to the rural island of Kyushu. There he set up a business, repairing clocks and watches, he also started building his own radios so he could listen to radio stations. He was heating old parts over a candle, so the magnesium would oxidise and improve the sound of the tubes. The search for the perfect sound became an obsession, and he dedicated himself to music, via creating experimental rhythm machines. In 1972, Ikutaro founded Roland, releasing, among others the TR-808 drum machine. 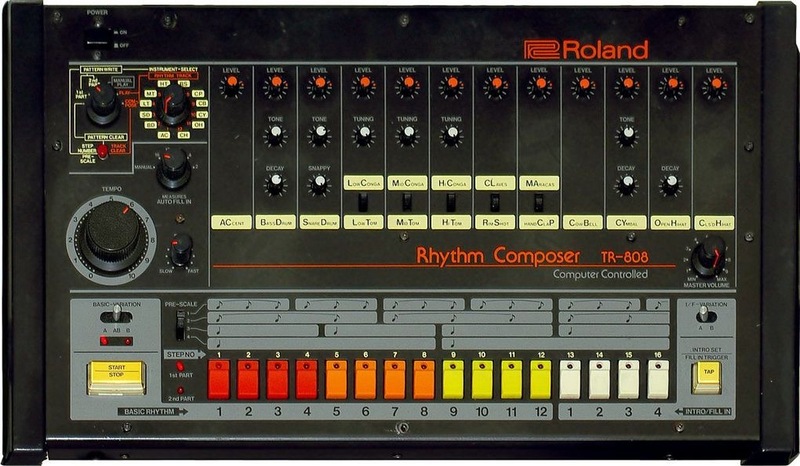 The 808 was initially a commercial flop: the sound patterns sounded like a fake analogue instrument, the reproduction of physical instruments to digital sounded too futuristic and the kick drum too overbearing. Seen as a toy in a musical environment where guitars dominated and electronic musicians preferred slicker equipment, Roland discontinued the 808 in 1983. Its turning point came when its price tag plummeted from $1,200 to $100 – which attracted curious underground musicians from America’s poor urban areas turning 808 into cult. Before long, producers in Chicago, Detroit and New York were making electro, techno, house, acid and hip hop that sounded like nothing else that had come before. Within a few years, Roland’s commercial flop had become an essential piece of kit. It even started its own genre, with acid house being able to have the epithet of acid in front, only if the music was made using an 808. The rest is history: Madonna’s “Vogue”; Whitney Houston’s “I Wanna Dance With Somebody”; Talking Heads’ “Psycho Killer”; Beastie Boys’ “Licensed to Ill”; LL Cool J and Run-DMC’s crossover smashes… Nearly 30 years later, we can hear the machine’s percussive attack in chart-topping hits from Kanye West and Drake. How ironic that Ikutaro wanted to enable affordable music, only for the TR-808 to be unaffordable for fledgling musicians. It took its initial failure to become a huge success. And today? Turn your radio on and you’ll hear an 808 kick in within ten minutes. And for this, Ikutaro arigato. At NAB 2017, Sound Devices has announced the new MixPre Series of audio mixer/recorders with integrated USB audio interface. 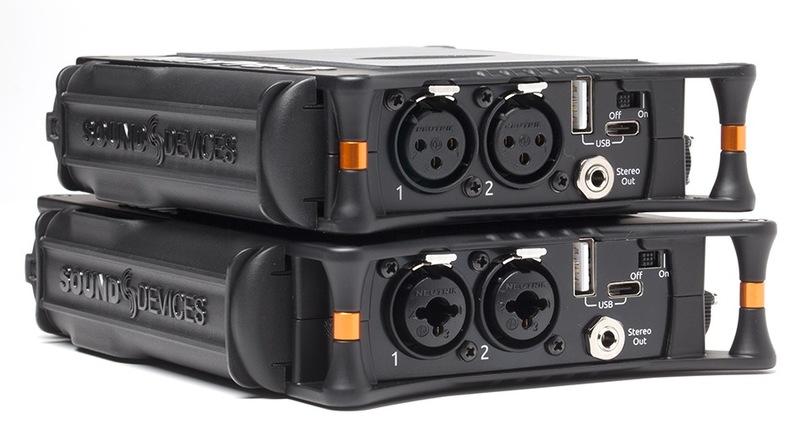 The lightweight, high-resolution MixPre-3 & MixPre-6 audio mixers recorders with USB audio streaming offer hefty preamps combined with extreme durability. The new Kashmir microphone preamps have much more gain than competitive units, as I’ll cover ahead. They also feature a published -130dBV noise floor, analog limiters, and new 32-bit A-to-D converters to ensure high quality, stress-free, professional-grade audio recordings. I hope to review one very soon. Ahead is more info and a video. For dynamic mics, at least +60 dB is considered a bare minimum, and even more for an ElectroVoice RE20 or Shure SM7B to avoid having to max out the potentiometers, or avoid having to purchase a FetHead or CloudLifter for each source. Just over two years ago, Rob Brown was transfixed by an eBay auction. He and colleagues Chad Brown (no relation) and James Hashmi were bidding on a record pressing machine. It was the only one the new entrepreneurs could find, and it was in the middle of nowhere—in Russia. No one knew if it worked, or could even be refurbished back into working order. Yet, the bidding was feverish: Brown’s team walked away, but the press ultimately sold for some $60,000. So went the shopping experience of anyone looking to open up a pressing plant amid the vinyl resurgence of the last decade. No company had made a new record press since the ‘80s, and used ones were nearly impossible to find. Longstanding plants, like United Record Pressing in Nashville (the largest facility in the U.S.), would absorb equipment from shuttering competitors. And upstarts would have to either wait out the second-hand market or build their own from scratch. But Brown, Brown, and Hashmi wanted to get their hands on a press for a different reason. They wanted it as reference, a benchmark against which to measure the singular goal of their Toronto company, Viryl Technologies: to build the first new fully automated record pressing machines in over 30 years. Thanks to carefully orchestrated automation and cloud-based monitoring software, their WarmTone presses were going to be easier to use and simpler to service—and therefore more-efficient—than their hulking hydraulic predecessors. Even in the best circumstances, making a record is a laborious process. There are machines to cut studio recordings into a master version of the audio, then another set to create a metal negative plate of the master for the giant waffle iron that is a record press. The biggest piece of the puzzle, literally and figuratively, is the pressing machine itself, which stamps out copy after copy after copy. Workers learn the ins and outs of their machinery, its quirks, and its red flags. And, because most plants contain a mashup of presses—recycled, revamped, and reengineered with modern components—there’s little, if anything, in the way of manuals or guides. “Because the industry had died off, and the companies that produced the presses were all long gone, there really is no level of service left,” says Rob Brown, Viryl’s chief operations officer. Breakdowns are common, and fixes tricky. This largely bespoke approach has contributed to a problem: For years, vinyl production has been at or over capacity. According to U.K. research firm Deloitte, total record sales in 2017 will hit 40 million worldwide. And Nielsen’s 2016 Year-End Music Report showed the eleventh straight year of consistent upswing. That’s a lot of discs for the few dozen up-and-running plants and couple hundred or so working presses worldwide. It’s so many records, in fact, that about two years ago United stopped taking on new clients for about a year to clear up its backlog and shorten turnaround times. For smaller shops and upstarts, backups are harder to manage—and sometimes exacerbated by the run-up to major selling seasons. The AudioQuest JitterBug isn’t a new pair of headphones with better speakers. 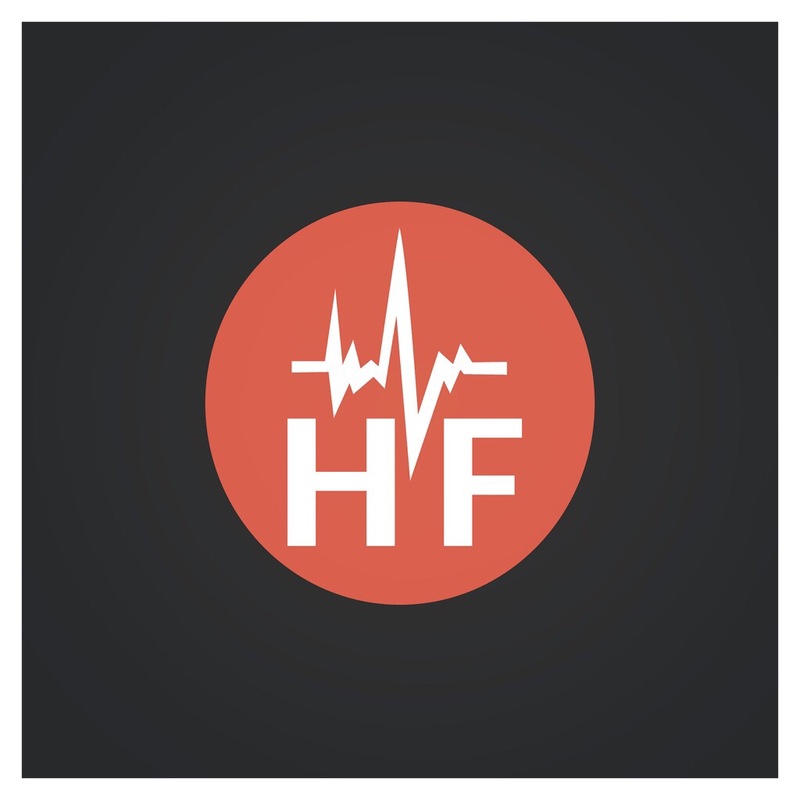 It’s not an amp to boost the robustness of the sound being delivered to your headphones, and it’s not a DAC, trying to deliver the highest-resolution signals to your amp and headphones. It’s much more esoteric: it’s a filter for your USB port. First, backing up: if you’re getting into higher-quality sound, delivered from your laptop or desktop computer, the first thing you learn is that you don’t want to listen to the music from the mic port. The on-board mic ports on most computers are using a very basic DAC (digital-to-analog converter) to change the bits of your sound files into analog audio signals going into your headphones or speakers. Instead, you plug a higher-grade DAC into a USB port. Then you probably plug an AMP into that, to boost the resulting signal (or the DAC and Amp are a combo unit). And then you plug your headphones/speakers into that for listening nirvana.